A cover from India, sent by Vivin Fernandes. 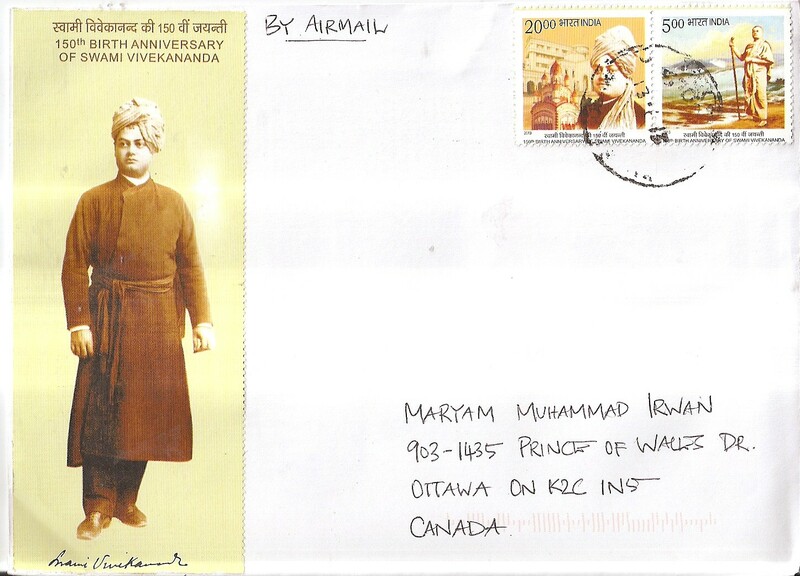 On the cover, Vivin affixed a setenant stamps that commemorate the 150th birth anniversary of Swami Vivekananda. Vivin also put a strip of Swami Vivekananda portrait on the cover. The postmark date and location are not clear. 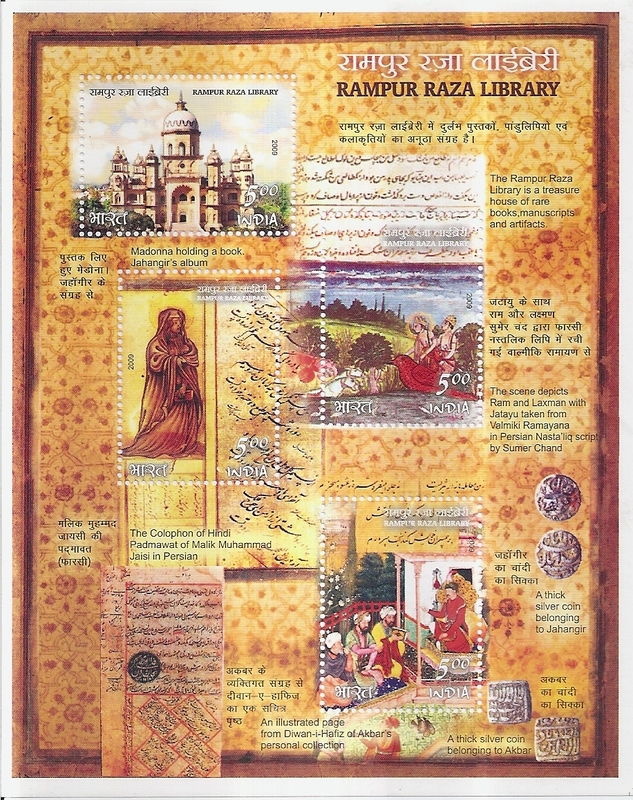 Inside, Vivin sent me a souvenir sheet that commemorates the Rampur Raza Library. Thank you very much Vivin!